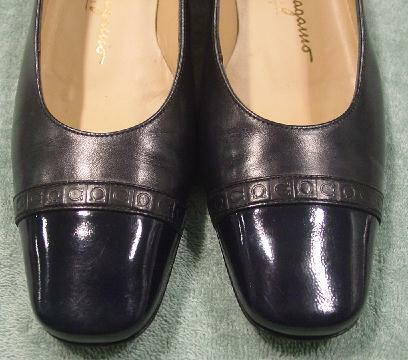 These navy blue leather and black patent leather shoes were made in Italy and are Salvatore Ferragamo Boutique. 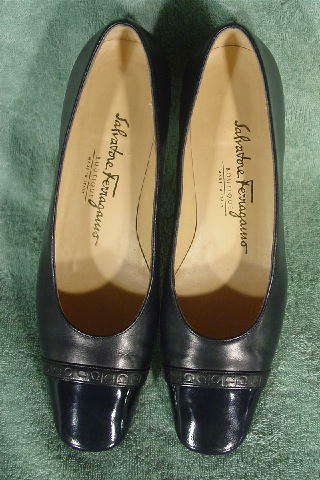 The modified square toe area is in the black patent leather and below that is an elevated horizontal leather strap with little squares containing the Ferragamo logo. 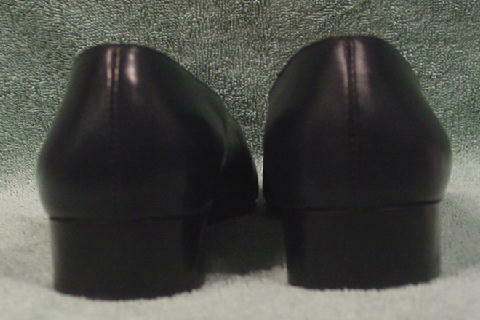 There are dark sandy-pale tan leather linings and insoles. 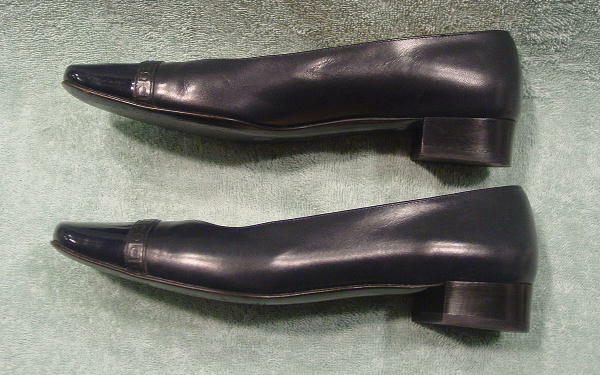 They have black short stacked heels and leather soles. The vamp areas on both shoes have wrinkles. She only wore them four times.